Think about what goes through a young person’s mind. Think about the challenges of ‘how to’ accomplish. Now, think about what Ben Jackson has had to overcome. 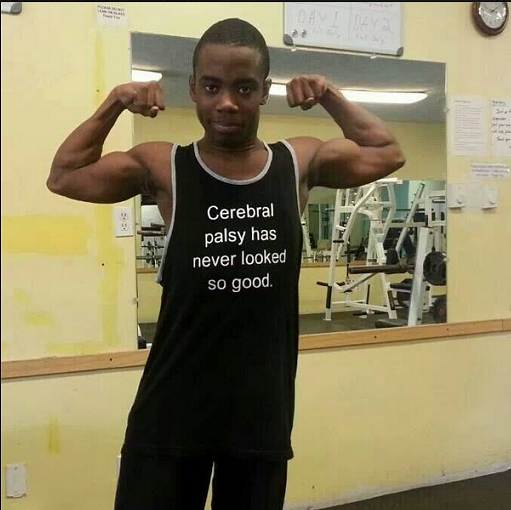 He has spastic cerebral palsy, which is a disorder that results in stiff muscles and awkward movement. Ben made a decision. He wanted to be on the wrestling team. He lost his first match in 10 seconds being pinned. He got pinned in his second match in 12 seconds. He was getting better! Even though he lost all 24 of his matches that year, his positive attitude helped him work hard. The next year he won his first match! “I didn’t know who my competition was going to be but I knew they were not up at 3am watching wrestling videos,” Ben shared. Ben’s mom said, “Ben’s work is never finished. He is always going to continue on to a challenge be it in sports or other aspects in life.” He’s a wonderful guy. The photo above is from Ben’s Facebook page.